Does ProgressivEdge, Inc. offer web-based training? No. While we know that people are very busy and like to have the ability to learn on their own schedule, we also know that our face-to-face training is more engaging. Our hands-on approach helps bring the material to life. Each student, by being present in a classroom setting, learns from the others. In our Black Belt Train the Trainer session, each student also learns to teach a roomful of students. Hands-on simulations are practiced. These things are difficult to do effectively in web-based training. What is the difference between White, Yellow, Green and Black Belt? White Belt (standard or for Leaders): Involves one day of training usually provided as general overall knowledge to large groups. It is not project based. This content can also be provided to Leaders with added subjects related to leadership and deployment of the LSS concepts and is called White Belt for Leaders. Green Belt : Six days of training are required and are usually spread out over three months. This certification training is based on project application and results. On the job, those trained as Green Belts usually work part-time on projects in conjunction with other responsibilities. Black Belt : Involves thirteen days of training usually spread out over five months This certification training is based on project application and results. Traditionally those trained as Black Belts worked full-time implementing Process Improvements leading high impact projects. They train and Mentor LSS Green Belts. Master Black Belt : The Technical Mentor for Black Belts and Green Belts. The process of becoming a Master Black Belt takes anywhere from one to two years after completing the Black Belt course. They act as consultant and trainer and stay involved both strategically and tactically with Process Improvements. Kaizen is Continuous Improvement. It can be very small actions or very large projects. Kaizen events are a structured approach to achieve kaizen. Kaizen Events can be provided as training or as a workshop focused on improving any aspect of your business. Please refer to the Glossary for any other terms you can’t wait to know about. 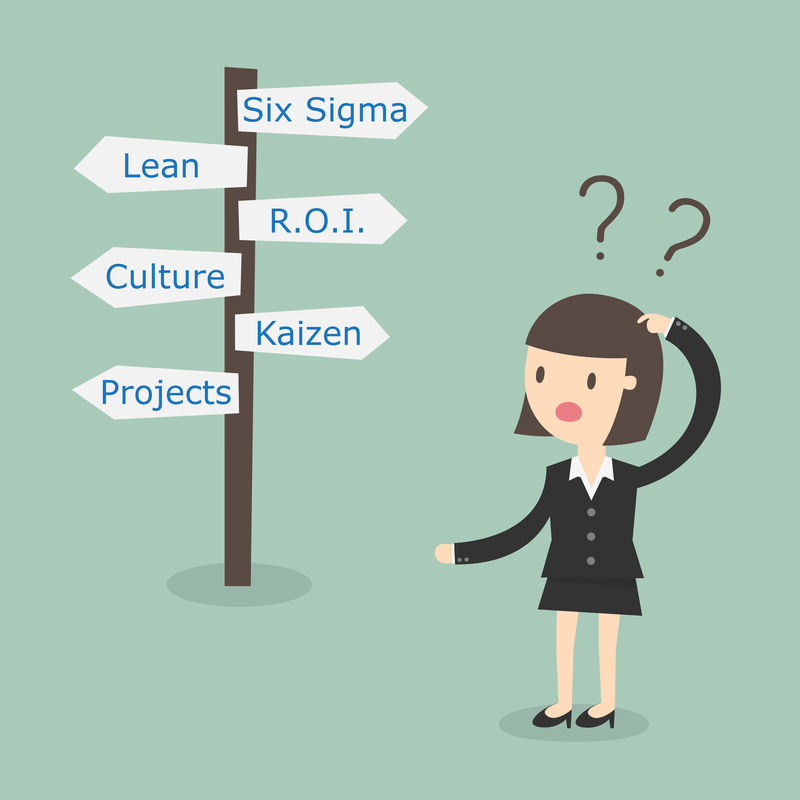 Which is better – Lean, Six Sigma, or both? Lean creates a culture to help your business identify and eliminate wasteful activity while Six Sigma focuses on reducing and controlling variation. By combining both of these methods, businesses have been able to reduce costs and increase their profits much faster than by using just Lean or just Six Sigma alone. Lean Six Sigma is the combination of Lean’s Speed and Six Sigma’s Quality for optimum quantifiable improvements. My business is small. How can I afford ProgressivEdge, Inc. training? ProgressivEdge, Inc.’s prices are very reasonable compared to others who do similar work, but if your business needs a little help we will work with you to find a way to set you on your Process Improvement jouney. If your company is based in California, you may qualify to get ETP funding from the state to help cover some of the training costs. In the long run, training your employees in Lean Six Sigma will pay for itself many times over. In fact, we are often asked why we do not charge more for helping businesses save so much. I see why we could benefit from Lean Six Sigma, but my boss isn’t on board. What can ProgressivEdge, Inc. do to change this? ProgressivEdge, Inc. offers a White Belt for Leaders and Champion development courses to address this problem head on. These one-day trainings will allow leaders to obtain basic knowledge of the most common Lean Six Sigma tools. These courses are designed to provide participants with a good overall knowledge and application of the tools and potential benefits from applying the tools. Once management sees the benefits they often become very motivated to bring Lean Six Sigma in to improve their business.